“We pay our writers to write,” my Norwegian friend Kristin said as if it was the most obvious thing in the world and enlightened me about the Statens Kunstnerstipend, a “grant and guaranteed income programme with the objective to give creative and performing artists the opportunity to actively pursue their artistic career and to aid younger artists in establishing themselves as artists.” The programme offers diverse short and long-term grants as well as one-off bursaries for travel, study or material expenses for artists based in Norway. I was mostly fascinated by the “guaranteed income” support scheme: established artists can apply for this to provide them with the financial stability necessary for having “artistic enterprise as their primary form of occupation.” And the crux is that the recipients retain the right to this financial stability (paid monthly) until they reach retirement age. Norwegians seem to take a much-quoted imperative to heart: “If you think culture is expensive, try ignorance!” The objective of their support programmes is to ensure that individual artists are able to contribute “to a diverse and creative wealth of art” in Norwegian society. 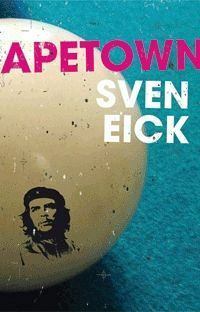 Listening to Kristin and reading about Statens Kunstnerstipend, I thought of the many writers I know in South Africa who struggle to make a living while pursuing their creative careers. For most, the situation is not desperate, but almost all pay their bills by other means than their creativity. I decided to approach a few of them to discuss the dynamics involved in being a writer and having an ordinary day job. Their valuable comments were often surprising and opened up many engaging ways of thinking about this topic. We tend to think of creative people rushing home after long hours of suffering in their dreary jobs to lock themselves up in that special room of their own and devoting the rest of their waking hours to the Muse. What transpired from my interviewees is that, on the contrary, even though it is sometimes difficult to juggle their paid and creative work, they actually enjoy their money earning jobs just as much as they do their creative ones. Only the degrees vary. 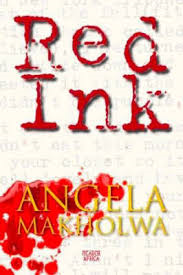 Angela Makholwa is the author of the urban thriller Red Ink (2007) and the fresh-off-the-press chick-lit adventure The Thirtieth Candle. When she was fifteen, she decided “quite firmly” that one day she would publish a novel with “an authentically South African story”. Today, she is not quite sure anymore what that means, but she is definitely somebody who knows what she wants and how to get there. She runs Britespark Communications, a successful public relations and events management agency in Johannesburg, and feels fortunate to be “doing something that allows her creativity to flourish”. Inspired by their day jobs, Angela and Siphiwo find that they can well manage the two spheres in their lives, creativity and work. 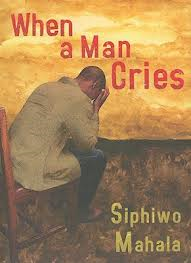 However, sacrifices have to be made, as Siphiwo notes, and one has to accord creativity the time and space it deserves. Only then can you also “expect your potential reader to skip their favourite soap opera, miss hot gossip, and let the pots burn while reading your book,” he says. Other writers would endorse state-funded grants, but like Sven, they cannot imagine giving up their other occupations in order to write fulltime. Multitalented, with degrees in drama, journalism, and creative writing, Willemien Brümmer always knew that she wanted to be “An Artist”, but it took her a long time to find her individual path. 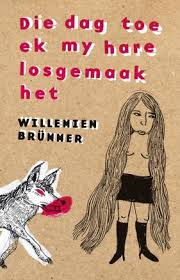 She published her debut short-story collection, Die dag toe ek my hare losgemaak het (The Day I Let My Hair Down) in 2008. She actually writes for a living, writing feature articles for By, the Saturday supplement of Die Burger, Beeld and Volksblad. Almost stumbling into journalism by accident, Willemien felt in the beginning that it was not creative enough; “it felt like stealing,” she remembers, and the wrongly perceived lack of creativity made her ashamed to call herself a “journalist”. She realised how inseparable journalism and creativity were only fairly recently. A few years ago, while completing her MA in Creative Writing, she wrote profiles of people “in the news” for Die Burger’s weekly column Oop Kaarte and recognised how similar the methods for writing articles and writing short stories were. The only difference is that “reality is often far more interesting than anything I can come up with,” she admits. Similarly, in an ideal world, the talents of Helen Moffett would not go to waste. “I wear many hats,” she writes on her blog. 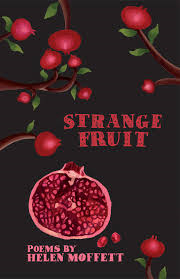 It would take an entire walk-in cupboard to display all, or at least some, of them: academic, copyeditor, mentor, teacher, cricket expert, and most recently the co-author of Bob Woolmer’s Art and Science of Cricket (2008) and author of the sensual poetry collection Strange Fruit (2009). With four academic degrees and thirty years of experience, Helen does not have a regular income because her health dictates that she work as a freelancer. Academic editing for clients all over the world pays the bulk of her bills. There is also fiction editing, manuscript assessment, training (writing workshops for academics and NGOs), copywriting, ghost-writing, and occasionally a life-saving royalty cheque courtesy of one of her prescribed academic titles. Having constantly to worry about making a living, diminishes Helen’s potential as an academic as well as a creative fiction and non-fiction writer. She says an unambiguous yes to any grants for writers, however modest. Many wonderful opportunities slip by her because she cannot afford to invest her energies in them. In the last seven years, she has been trying to write a book on gender violence, a crucial topic in contemporary South Africa, and one that Helen is an expert on. “It’s tough to write; I’m only able to make any progress when I get a bit of funding for the project, but I still have some way to go.” Asked what she would do if she didn’t have to worry about the end of the month, she says she would write and devote more time to teaching: “I love teaching, but there is so little pay in it. Yet, I feel that it is my moral responsibility to transfer my skills. I just can’t lock up all that education and experience I’ve been fortunate to acquire over the years; not being able to pass it on is terrifying, but I have very little choice.” Even so, she insists on teaching a few courses a year, however poorly paid. In comparison, Alex Smith fully intends to “make a living out of creative writing”, but she also wants to continue working in other areas as long as they do not sap her creativity. At present, she is a tutor for a novel writing course and a bookseller at Exclusive Books. “Working with books keeps me grounded. I’m a story addict and seeing the dozens of new titles arriving every day is heartening, but it also doesn’t allow for any illusions of grandness about writing. I feel writers and booksellers are readers’ servants.” Alex’s grandfather was a dedicated book collector, travelling to London to buy everything from antique tomes to rare first editions. 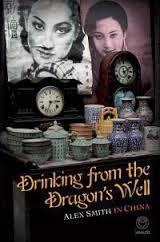 She grew up surrounded by books and being around them makes her “immeasurably happy.” She has authored two herself, the novel Algeria’s Way (2007) and the travel memoir Drinking from the Dragon’s Well (2008). A third, Four Drunk Beauties, will be published next year. Talented and prolific, with a Creative Writing MA under her belt, Alex wouldn’t say no to financial support for creativity, but doesn’t feel anybody owes her anything. Having studied business science, for some years Alex earned a good salary as a successful creative and marketing director of a textile company. “But I always wanted to be a storyteller,” she stresses. “The way things are now, I’m free to write, and the price is debt, but it is my choice to be in this position. My heart’s desire is to explore real and imagined places, and play with turning those into stories.” Knowing her literary output and determination, one cannot help but feel assured that she will succeed at what she does with such unmistakable passion. His persistence and initiative were recognised by Carl Wesselink of the Kuyasa CDM Project (developing energy efficient housing in Khayelitsha). Carl Wesselink saw that Zyd’s book could inspire people and offered to buy two thousand copies of it to distribute in Kuyasa as well as to pay Zyd’s salary for a year. Today, Zyd coaches people in personal development and self-improvement in Kuyasa. He considers reading an indispensable ingredient of both. His latest initiative is the Teach a Child to Read Campaign, and he has two more books on the way. He finds the idea of state-funded support for his writing intriguing, but is scared that it would make him lazy: “I like challenges,” he points out. “When I was about to drown, I found my calling,” he says, relaxed and confident. “I hope to sell a million copies of my books.” His mere presence inspires. It’s easy to believe that he will make it. First published in WORDSETC 6 (September 2009). This entry was posted in What I've Written and tagged A Year of Staying Positive, academic, African Literature, agency, Alex Smith, Algeria’s Way, Angela Makholwa, Apetown, Beeld, blog, Bob Woolmer’s Art and Science of Cricket, Boekehuis, Britespark Communications, bursary, By, Calvinia, Carl Wesselink, Centre of the Book, chick-lit, City Vision, co-author, collection, Colleen Higgs, community newspaper, copyeditor, creative and performing artists, creative fiction, cricket expert, culture, Department of Arts and Culture, Deputy Director for Books and Publishing, Die Burger, Die dag toe ek my hare losgemaak het, Drinking from the Dragon’s Well, Ernst van Heerden Creative Writing Award, events management, Exclusive Books, Four Drunk Beauties, freelancer, grant, guaranteed income, Helen Moffett, ignorance, Johannesburg, journalism, Karina M. Szczurek, Karina Magdalena Szczurek, Karina Szczurek, Khayelitsha, Kuyasa CDM Project, libraries, mentor, Muse, non-fiction writer, Norway, Norwegian society, novel, Oop Kaarte, passion, poetry, portrayal of township life, programme, public relations, Red Ink, Saturday supplement, self-help literature, self-publish, short stories, Sindiwe Magona, Siphiwo Mahala, socio-critical novel, South Africa, Statens Kunstnerstipend, Strange Fruit, Sven Eick, Teach a Child to Read Campaign, teacher, teaching, The Thirtieth Candle, travel memoir, urban thriller, Volksblad, When a Man Cries, Wilbur Smith type, Willemien Brümmer, Wits, Wordsetc, Writers’ Other Lives, Zanozuko Mzamo, Zyd on September 26, 2014 by Karina.